This delicious low syn, low calorie white chocolate raspberry yoghurt bark is fun to make with all of the family and everyone will enjoy. 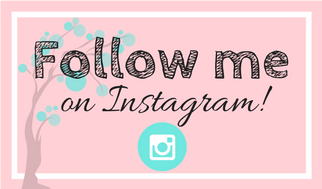 One of my biggest challenges whilst being on plan with Slimming World is fulfilling my sweet cravings. Then a few weeks ago I discovered yoghurt bark. But the recipe I found was using sugar, honey and various other high synned ingredients. After a few tweaks and attempts I have found a low syn alternative recipe for everyone to enjoy. The first thing you will require to create your delicious yoghurt bark is a silicone tray. 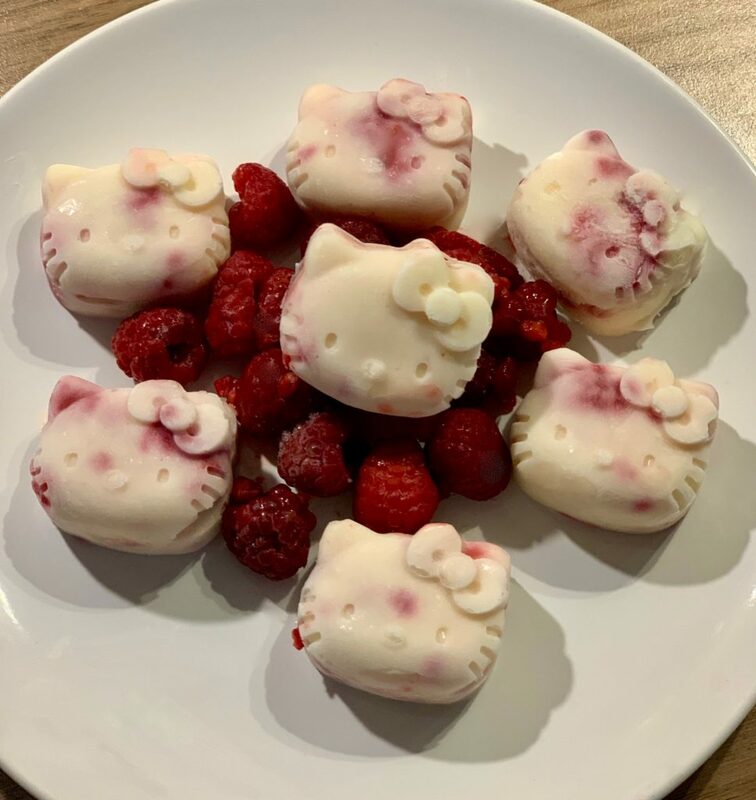 I used my cute Hello Kitty mold but you can use anything you fancy. Another popular one seems to be the mini donut trays. 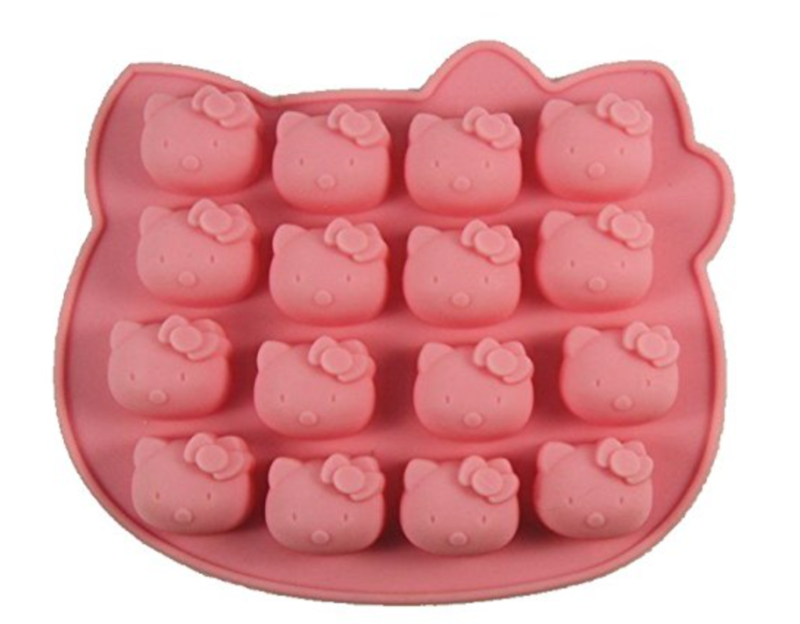 They would also be perfect in an ice lolly mold for a bigger treat. This recipe would also work well with strawberries. blueberries and blackberries too. 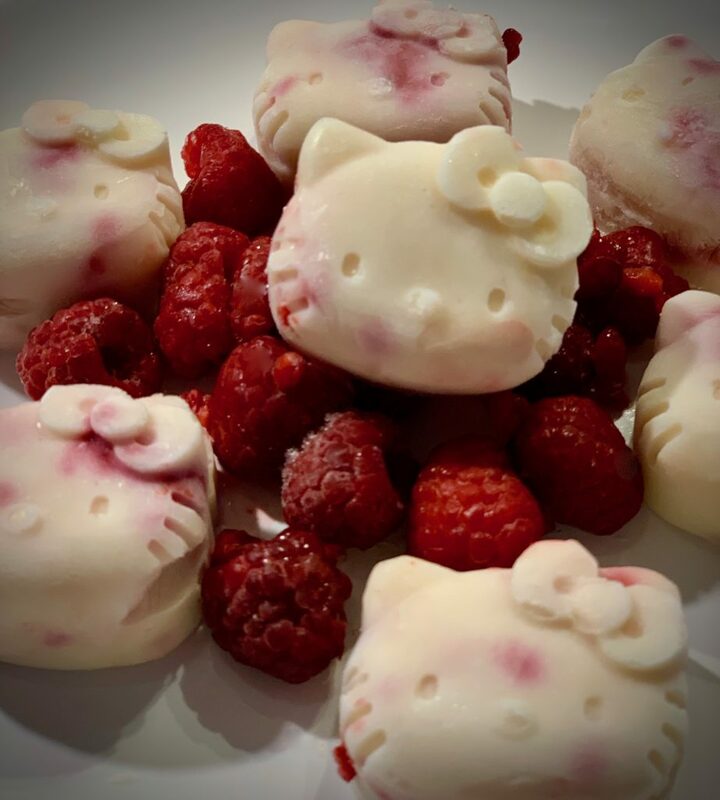 But I feel the raspberries work best with the white chocolate. The whole batch is worth 4 Syns or 2 Weight watchers points so please feel free to either devour the lot in one go or use as an occasional treat. Add the yoghurt and Options hot chocolate to a bowl and whisk for a few minutes until light and fluffy. Chop the raspberries into small sections and add to the mixture. (If you are using frozen raspberries pop them in the microwave for 30 seconds first). Mix together and then spoon into your silicone mold. Pop into the freezer for 3 – 4 hours or overnight. These will melt quite quickly once removed from the freezer so you would need to eat them quite quickly. They will keep in a freezer bag for upto 2 months in the freezer.